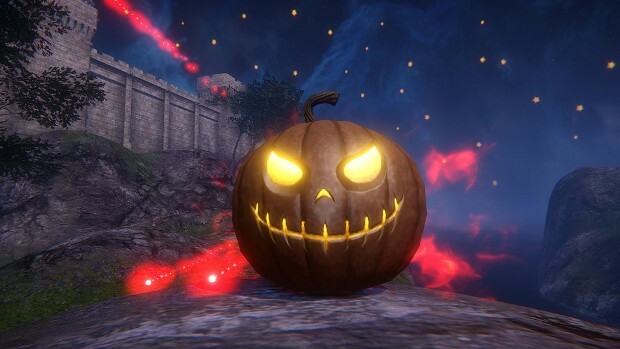 Everyone’s favorite fall festival of fright is almost here and Riders of Icarus is celebrating. Nexon announced the free-to-play MMO’s first Halloween event, complete with headless horsemen, candy, and more. Much like Charlie Brown, RoI’s Halloween will have some big pumpkins in it. Only these pumpkins aren’t quite as friendly are are instead out to cause a little chaos. Luckily, those who can get rid of them when they appear get some goodies in the process. The headless knight can be found in Hakanas. He’s looking for his missing head. But if you find him first, you can get some nifty stuff… including a sick looking mount. Other activities during the event include a pumpkin candy chase, in which players hunt creatures to earn candy and trade them for rewards, and some legendary dungeons. More information on the event can be found on the Riders of Icarus site.